Hey, you know the Olympics, right? It’s this global competition where all these countries spend millions to compete in athletic events for Coca Cola products. Olympic time is good time because Olympic time means athletically themed video game time (kind of)! 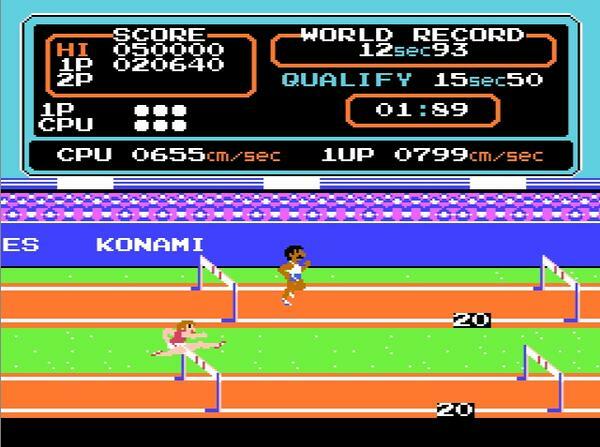 And hey, what better intermission for those Track & Field sessions than an 8-bit Olympic montage? It’s the kind of montage the real networks use, and it will be the perfect way to give you time to nurse those fingers all bloody from button mashing. 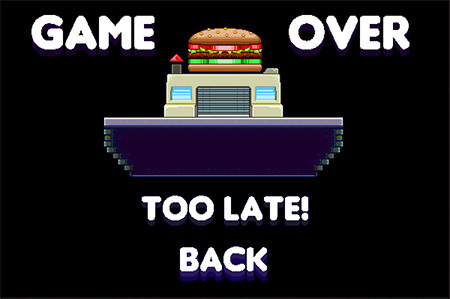 In 60 Second Burger Run, you play as a morbidly obese man who just realized his favorite Burger Shop closes forever in 60 seconds. In a war against time and physical capacities, you must dive through spikes, crumbling towers, and the likes to reach the burger shop in less than 60 seconds. You could, technically, beat the game in a minute if you were fast enough, but the amount of tricks, traps, and pranks you’ll experience will keep you from reaching your goal during your first…or first hundred playthroughs. It’s a highly addicting game that shoots you back to the beginning almost instantaneously after the game over screen, and it’s one you may end up playing much longer than you expected. You can play the game for free here or download it here. You can download the game for free off the developer’s site here or from a fan site here. Superbrothers – Sword & Sworcery EP is a point-and-click adventure game mashed with an atmospheric album that uses unconventional storytelling, pixelated graphics, humor, poetry, a killer soundtrack, and philosophical puzzles to bring together a rare, transcendental experience in gaming. Superbrothers – Sword & Sworcery EP is about a lone warrior who unlocks an ancient evil in the pursuit of treasure and must forsake everything to defeat it. Ok, so it’s not the most original premise, but this isn’t a game that needs a detailed plot to work. It takes the triple AAA approach to video game writing and puts it in a small, indie package that deconstructs its approach with hyper-sensory visuals and perfect sound design. On the downside, there is a heavy social network element tied to the gameplay that allows you to tweet your progress, and there are several moments in the game that promise more rewards for using it. I never noticed anything different with it, though, and it just seems like a cheap way to market the game. Without spoiling it, there’s also a couple puzzles that involve “meta-gaming” and are a pain to deal with. Superbrothers – Sword & Sworcery EP was originally released last year on iPhone & iPad, and was just recently ported to PC. 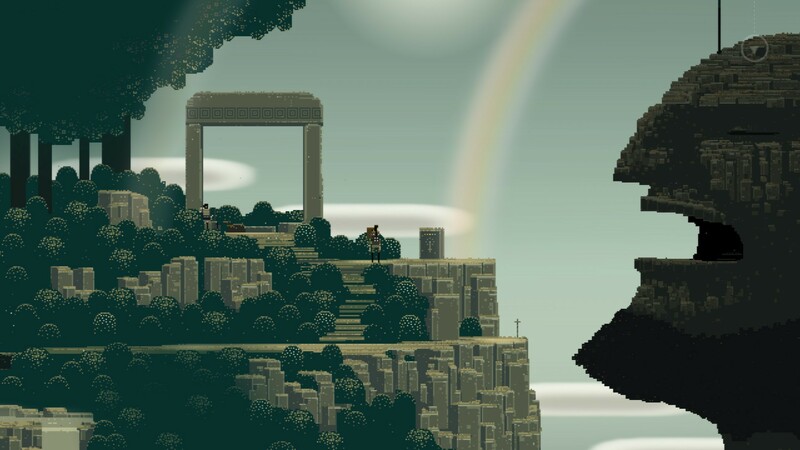 Like Braid, Limbo, and other games like it – Superbrothers’ Sword & Sworcery EP represents a trend in video games that prides a quality experience over cheap gimmicks and artificial extenders, and strives to bring the format into the well-established notions of art. This is not a game you should pass on. 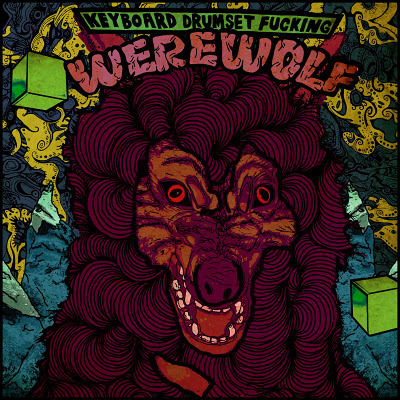 KeyboardDrumsetFuckingWerewolf (*gaaaaasp, inhale*) is a short flash game made by the two-man development crew, CATUSQUID. While it’s more of an interactive music video for the band GBSR – it’s a fast paced, colorfully stylized mini-game assault that’s a lot of fun to experience. 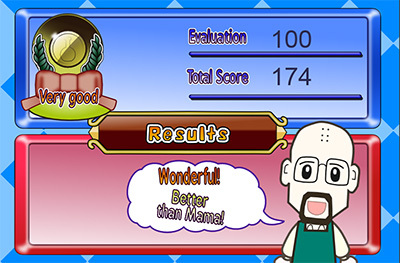 You can probably beat the game in 20 minutes, but it shows the kind of fun and spastic creativity that is sorely lacking from most mainstream developers today. Over four years in the making on a development cycle that almost saw the game scrapped completely on more than one occasion, Fez is finally out and it has every potential to become a classic. Putting a clever twist on the classic 2D platformer formula, Fez shifts its world into entirely new perspectives by giving you the ability to rotate the screen left or right 90 degrees allowing you to jump, climb, and reach areas that otherwise might not be available from any other point of view. It’s a mind trip that plays itself out in consistently clever and new ways. Fez’s goal is to collect 30 gold cubes and 30 anti-matter cubes. While the gold cubes in the game are usually found in pretty standard places, the anti-matter cubes require solving a convoluted series of puzzles whose solutions are not readily apparent. Obtaining the anti-matter cubes requires more thought and intuition than most current games will ever ask of a player, and it’s this old school frame of design that will most likely turn a lot of people off from ever playing it. As much as I loved this, getting 100% required me to look at a guide religiously on more than one occasion. 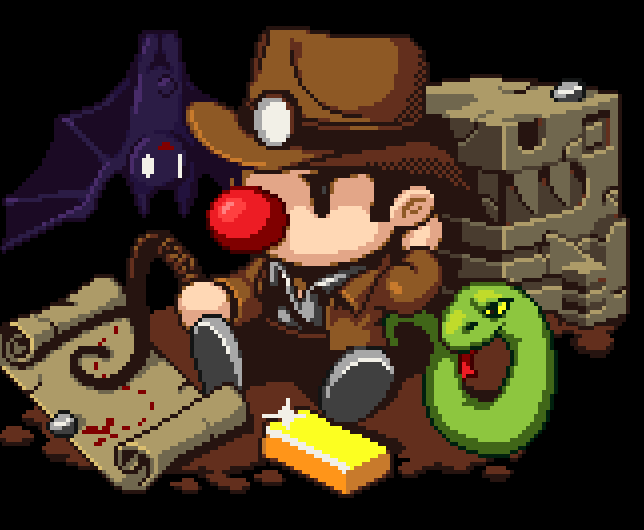 There were times when the puzzles were too difficult and convoluted (I’ve seen multiple accounts of people filling entire notebooks with clues to figure them out), but it’s still nice to see a challenge of this level in games again. There are only a couple ways to die in Fez, and there are no “real” enemies to fight. Some of the platforming is tricky, but I never ran into anything that was too difficult. 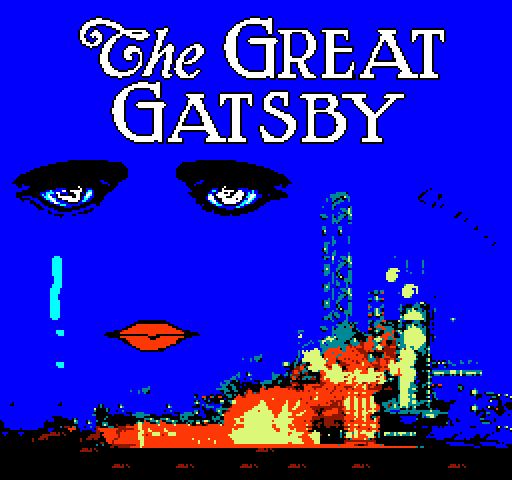 The soundtrack is never distracting and its calming ambiance is the perfect stimulant to spend hours pouring over the same areas over again and again looking for that last secret. This is a game that’s completely committed to exploration and discovery. 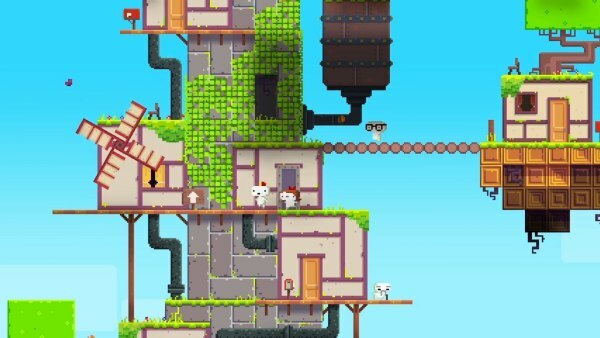 Fez has a lot of elements that shouldn’t work, but do. It will only appeal to a very select group of people, but a game like this isn’t looking for wide appeal. It’s a game with a retro aesthetic that simultaneously manages to redefine what games can be. You should definitely play it.